Hey guys! 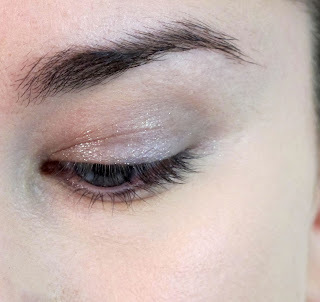 I am back to you with a fun and glamorous look for those up-coming holiday parties. This is quite easy to achieve and definitely eye-catching! Enjoy! Next, I added a bit more definition by buffing Quarry by Mac into the crease with a fluffy blending brush. When in doubt, wing it out! 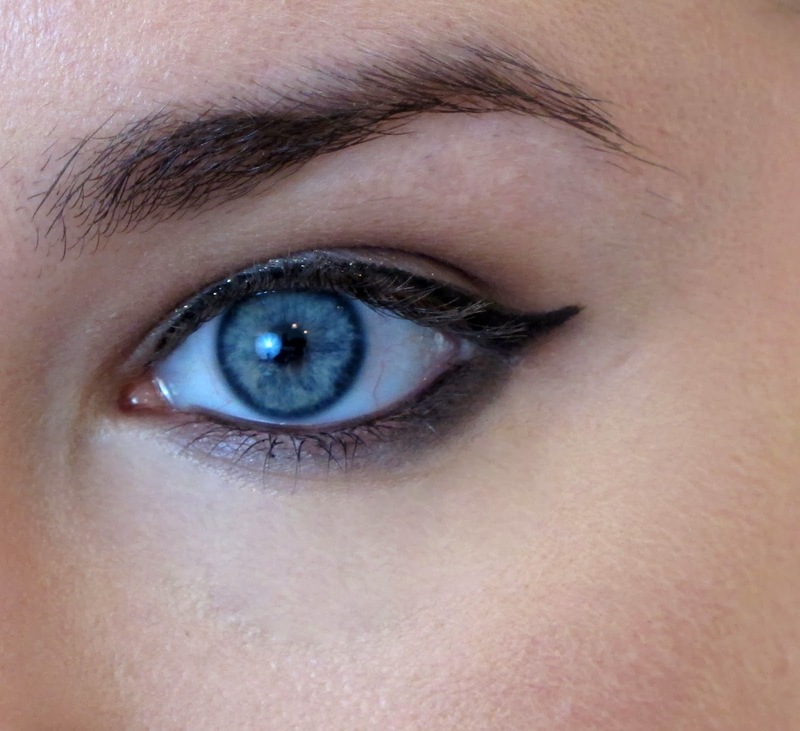 I used Bobbi Brown gel eyeliner in Black Ink for this step. Next, smoke out the lower lash line with a black eyeshadow (I used Urban Decay's Blackout). 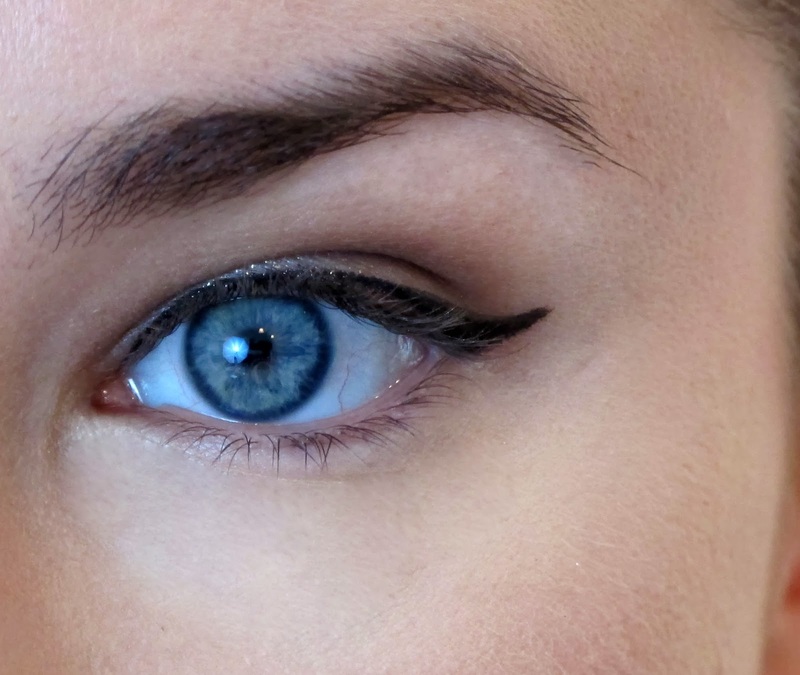 Also line the waterline with a black eyeliner pencil. Here is the fun part! Spray your brush with a setting spray and pick up a bit of black glitter. 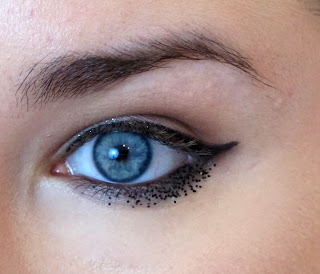 Then, press your brush into the desired area to deposit the glitter- it should stick very easily! 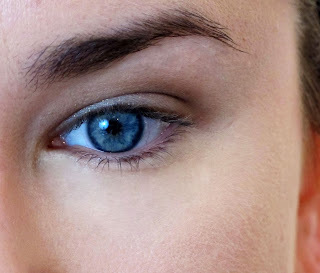 This is a brand new product from the MAC Nocturnals collection! Finish off with your favorite mascara and some dramatic falsies. I skipped the blush and went with one of my favorite dark lipsticks-Homegirl by Kat Von D! when it doubt, wing it out--- words to live by!